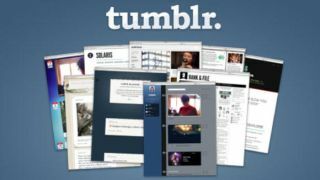 Tumblr users are jumping ship for WordPress as Yahoo announced that $1.1 billion (UK£722 million, AU$1.12 billion) for Tumblr is a done deal. But the Tumblr defection may turn out to be more of a blip than some sort of mass exodus. WordPress Founder Matt Mullenweg wrote on his blog on Sunday that the number of Tumblr users importing blog posts on WP jumped from the usual 400-600 per hour to 72,000 an hour following news of the Yahoo acquisition. But Tumblr reportedly publishes 75 million blog posts per day, and Mullenweg updated his blog again this morning to clarify that the thousands of posts being transferred to WordPress may be just a drop in the bucket for Tumblr. But are the users apparently quitting Tumblr in favor of WordPress hitting on something...disturbing? Yahoo CEO and President Marissa Mayer admitted on a conference call this morning that Yahoo will increase the number of ads displayed on Tumblr. "And today, Tumblr already does some advertising, though minimal, in that [dashboard] feed," Mayer said, as reported by AllThingsD. "We would like to look at them and understand how we could introduce ads - in a very light ad load - where the impact is really created, because the ads really fit the users' expectations and follow the form and function of the dashboard." She also said Yahoo would like to introduce more ads on specific blogs, but only for users who are into the idea and always with users' permission. Yahoo is believed by many to have ruined previous acquisitions like Flickr and the bookmark site Delicious. Although the web giant must be acutely aware of those failures by now, starting off its new leadership over Tumblr by announcing that the blogging service will be plastered with more ads may not have been the best idea. Perhaps the whole thing is being overblown, though it will be some time before the full ramifications of Yahoo's Tumblr purchase become clear.